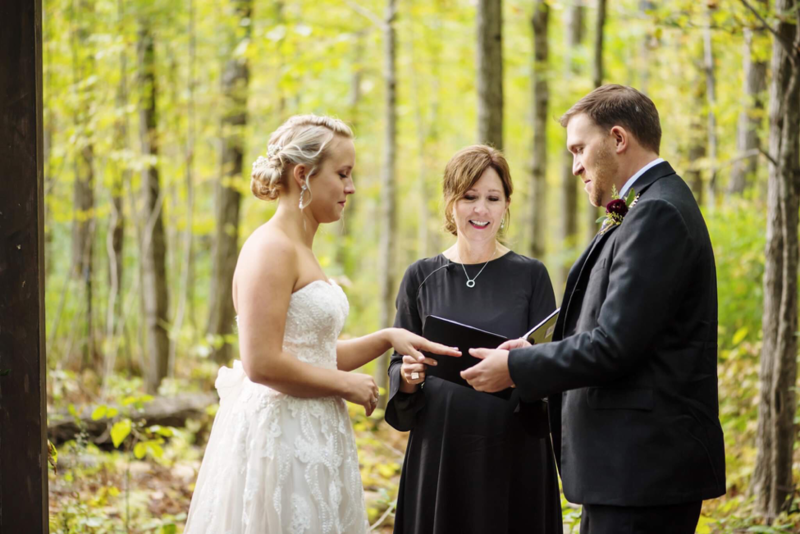 "We can’t say enough about Shelley – she is everything you’d look for in a wedding officiant, and more. Shelley is incredibly organized, creative, confident, and open to the couple’s vision for the day. We met with Shelley early on in the process, and were struck by her listening skills. She asked great questions and really focused on our ideas, personalities and needs." "By the end of the meeting (just by answering her questions and having great conversation) we had a much better understanding of what was important to us for that day, and how we could shape our ceremony so it was meaningful and unique to us. At that point in the planning process, it was such a relief to have a sense of direction. 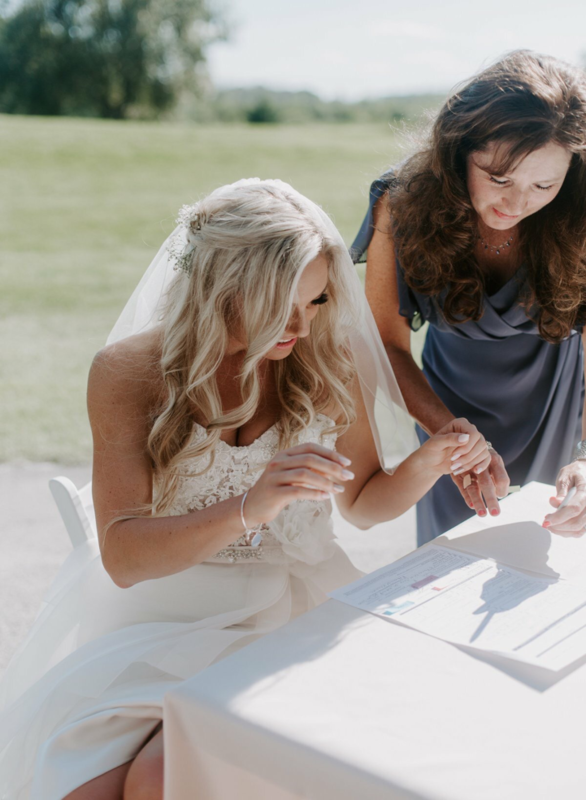 Shelley then provided a wide range of information and resources that we could use to create our ceremony – including examples and templates. At the same time, she encouraged us to be creative and make the ceremony ours. Shelley was fun, enthusiastic and positive from start to finish and her energy and passion for what she does enhanced our excitement on the day of the wedding. She was early for every meeting and the rehearsal, and had all the necessary paperwork organized and clearly marked to keep things easy for us. She also kept a calm and upbeat demeanour despite a few uncontrollable elements during the outdoor ceremony, including some rain and a funny incident that involved a bumble bee trapped in the wedding dress. We would highly recommend Shelley to our friends, family, and others – she not only made the wedding process really easy, she truly added to the enjoyment of it." "Shelley went above and beyond for my husband and I! 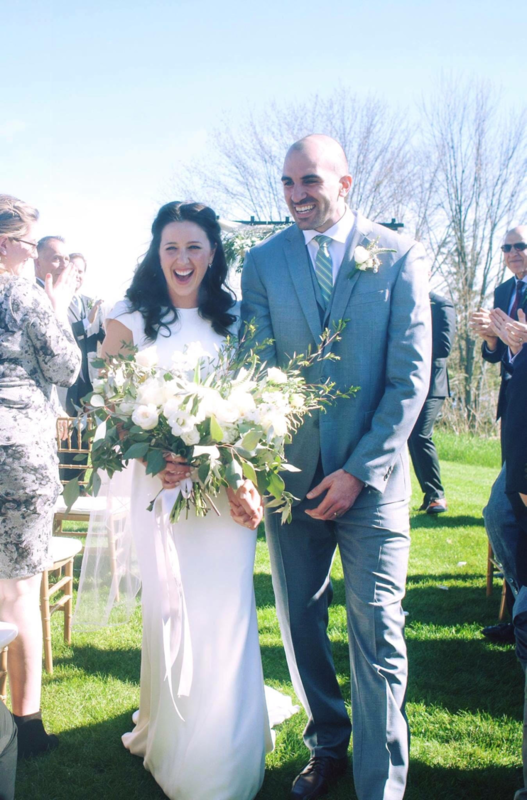 She met with us to ensure that we were comfortable with the format of the ceremony, what needed to be said and what we were able to customize to fit us as a couple. I felt absolutely no stress about the ceremony because she did such a wonderful job at the rehearsal. Not only is she extremely dedicated to making your ceremony perfect, she is such a wonderful soul. I would highly recommend her!" "Shelley is amazing! She made us feel so comfortable! Shelley is very accommodating and caring! I so look forward to our wedding date! Something that stood out to me tremendously was that she asked our wedding colours, she wants to make sure she blends and is appropriate for photos: extremely thoughtful! As soon to be newly weds we didn’t know much about what we needed to do, but Shelley pointed us in the right direction!! 100% recommend her for your wedding!!!"